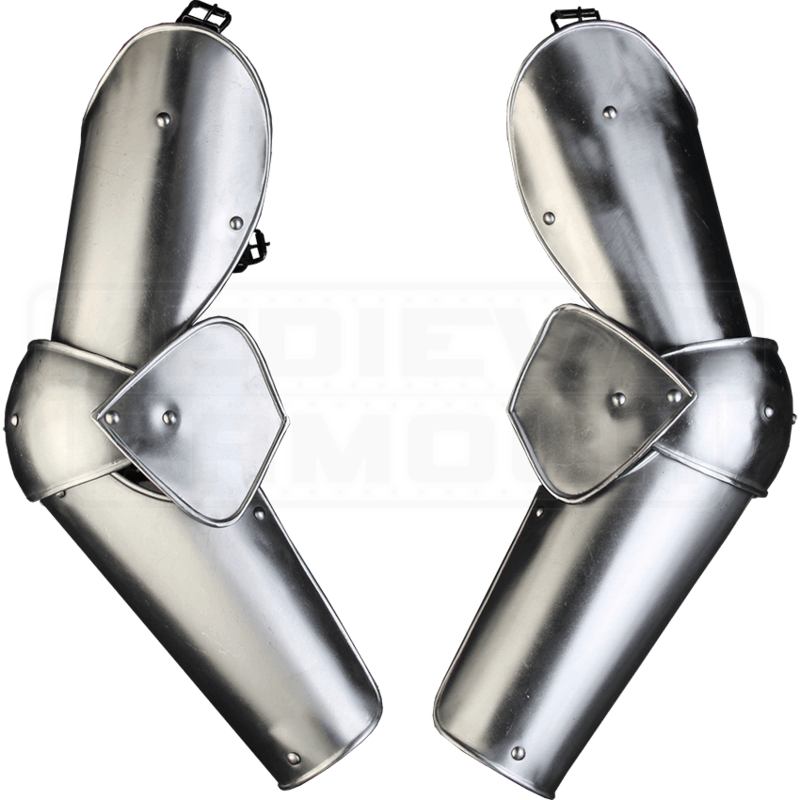 Plate armour offers excellent protection in battle, making the Steel Elias Full Arm Guards an ideal choice for LARPers and re-enactors. The arm armour runs from shoulder to wrist, providing complete coverage for maximum safety. The elbow joint on the full arm protection ensures that the steel armour allows easy movement for fighting. The bright metal finish of this LARP armour makes it very suitable for medieval knights and brave champions of all sorts. Padded arming wear can be worn underneath for increased comfort. Combine this steel arm guard with other pieces of our Elias armour to create a stunning warrior ensemble. Sold as a pair. Great quality set of armor. I would strongly recommend wearing a gambeson underneath for comfort. The only downsides I could think off is that all the weight does noticeably rest on your wrist and forearms.